A couple of weeks ago I flipped on the television. "An American in Paris" was on. I love Gershwin, and I love this film, so I got into bed and watched it for the umpteenth time. This time around, I was taken by Gene Kelly's solo tap dance to "I Got Rhythm." It's cute at the beginning, with the bevy of grinning children. But almost at the very end of the dance, Gene lets loose with some fancy fancy dancing. Which is a long-winded way of saying the man had serious chops. 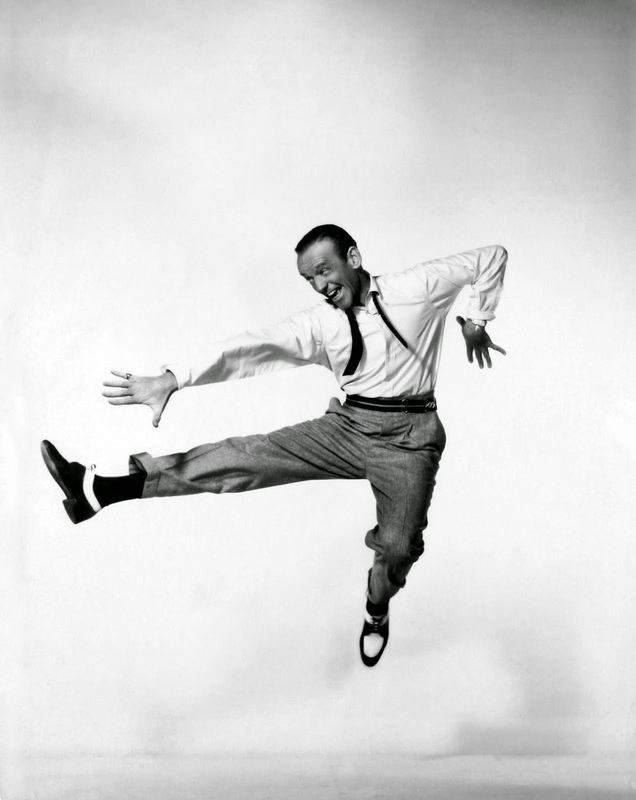 But, so did that prince of smooth moves, Fred Astaire. Fred had this upper body thing going on, where his arms just seemed to float along with his torso. I love watching how he makes those hard, hard routines look effortless. I've always preferred Fred's smooth moves to Gene's muscular hoofing. But "I Got Rhythm" reminded me it takes all kind of dancers to make the world go round. And thank goodness for all of them.